This Expert Advisor is based on the famous Morning channel breakout strategy. At the appointed hour, the EA plots a channel using High and Low of the specified number of candles of the selected Timeframe. Filtering is performed by the size of the channel range. 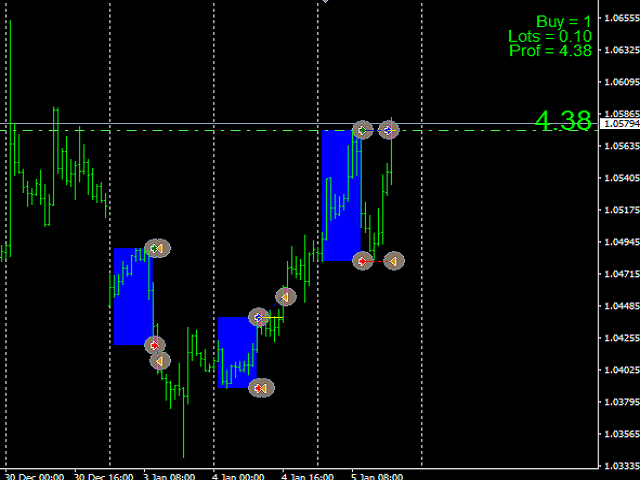 The BuyStop and SellStop orders with the initial lot are placed at the channel boundaries. If one of the pending orders triggers, the other one is deleted. The EA marks the Breakeven price on the chart with yellow icons. If the price passes the Breakeven level and moves into the profit area for the distance specified in TP_pips, all order of the current series are closed. If the price reaches the opposite borders of the channel, the EA opens an order in the opposite direction with a lot size increased by the Martin coefficient. HourStart - broker time for opening pending orders. FlatBars - the number of bars to plot the channel. Max_Flat - the maximum width of the channel. Min_Flat - the minimum width of the channel. FirstLots - lot size for the initial orders. Martin - lot multiplier when opening subsequent orders in the series. Maximum_orders - the maximum number of orders in the series. SpreadMax - spread limit for opening orders. TP_pips - the number of pips in profit from the Breakeven price to close all orders in the current series. Magic - identification number of the EA's orders. PushError - enable sending push notifications to a mobile terminal when opening the next order is not possible. AlertError - enable Alerts when opening the next order is not possible. I had been back-testing the demo like crazy and now trying it on a 1 month rental. Tidy little robot that appears to do its job very well. 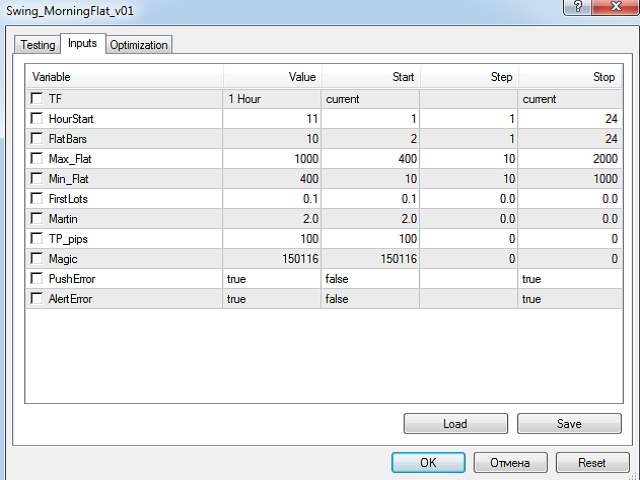 Credit to Andrei as the program and calculations are masterful. It does use martingale though, thus care is required. All in all looks very promising. I'm trading it live now and will report back in time. Four stars for now based on backtesting. Hope to be able to bump it up to perfect soon. Best EA, if you using with small lot size. Low DD. I use with real account 1 month ago, Good performance. Thank you for create best EA. I will use this EA for longtime. A great ea using morning breakout strategy with hedging method, most of professional traders using this strategy. I've been using it live account for 2 weeks it shows steady results with low draw down. If you're looking for consistent ea that comes with measurable risk, look no further this is the one. Improved function closing a group of orders. Fixed displaying profit in pips on the screen. 1. Added a limit on the number of orders in the series. 2. Added spread limit for opening orders. Upon customers' requests, added the "CLOSE" button that closes all the EA's orders on a current chart.